We recently gave the affiliate system a makeover and it's now much nicer to use (as well as prettier). 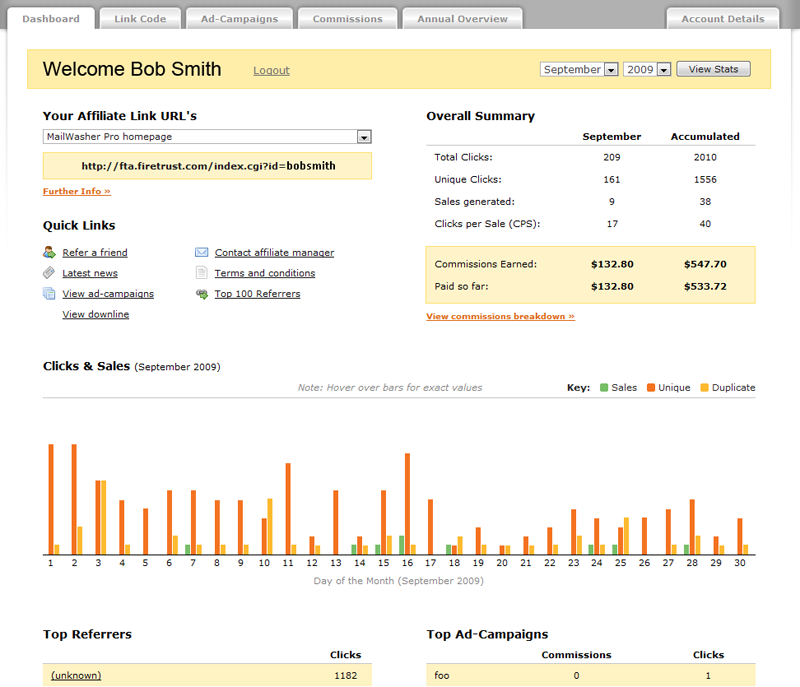 Affiliates will find all the tools at their fingertips as well as a convenient dashboard to show the most important things at a glance. Now it's much easier for affiliates to use campaigns to help monitor which promotions are working well for them, along with directing their customers to the right landing page. Utilising some fancy AJAX, we hope affiliates like the new look. Login or signup here. Screenshot below.